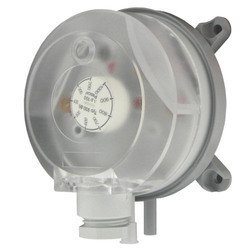 Manufacturer of a wide range of products which include low cost differential pressure switch. The Series 104 Low Cost Differential Pressure Switch is a low-cost easy to use switch for very low pressure applications. The switch can monitor positive, negative, or differential pressure and with an easy to adjust set point knob makes field set up and adjustment hassle free. Looking for Low Cost Differential Pressure Switch ?